Konida Medical x-ray Dry Film (KND-A/F) has image layer and protect layer on different side of bluish polyester bases, and there are no sensitive silver halide in both layer. The film is fit for thermal printer to print digital image which is processed and stored in the computer, to attain the enhanced x-ray image quality. Compared to traditional silver halide processing, the procedure is more convenient and the speed of processing is faster. Meanwhile, it reaches to the goal of environment protection because the whole procedure is free of the Chemicals. It can be processed under room light condition since the film is not sensitive to light. The product can be directly printed with thermal printers to get ideal image. The print conditions should be tested when using in other printer types. 1. Temperature and humidity,temperature 10℃～23℃, humidity 30％～65％RH, keep away from the heat resource. 2. Gas,There are no hydrogen sulfide, ammonia, sulfur dioxide, formaldehyde, and any other alkaline gas, etc. 3. Pile,Please keep film upright to avoid the bad influence caused by pressure. The period of validity is 24 months under above conditions. 1. Store the film under the conditions specified above. 2. Take the film out of the cool place and place the film with the package in the place where the film will be used for at least 4 hours, to avoid the steam concentrate on the film and damage the film. 3. It should be careful to handle the film, don’t crash, fold, distort and rub the film, don’t touch the film with wet hand. 4. Dealing with the waste film should obey the local law and regulations. 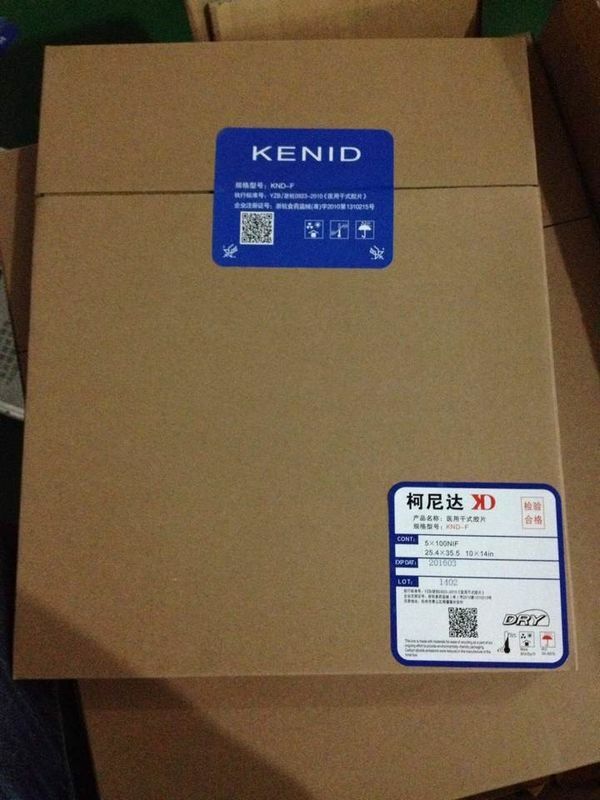 1.Konida Medical film type, KND-A, Suitable for AGFA 5300,5302,5500,5502,3000. 2.Konida Medical film type, KND-F,suitable for Fuji 3000,2000,1000.